Alistair Te Ariki Campbell (1925–2009) was born in Rarotonga and moved to New Zealand at the age of eight. His mother, Teu (née Bosini), came from the remote atoll of Tongareva (Penrhyn) and his father, Jock (John Archibald Campbell), was a successful trader from Otago, who emigrated to the islands in 1919 after service in the Gallipoli campaign. In his 60-year writing career, Campbell was the author of 20 collections of poems, as well as novels, plays and an autobiography. Campbell received many honours, most notably the New Zealand Book Award for Poetry (1982), the Creative New Zealand Pacific Arts Committee Senior Artist Award for Literature (1998), an Honorary DLitt from Victoria University of Wellington (1999), and a Prime Minister’s Award for Literary Achievement (2005). In 2005 he was made an Officer of the New Zealand Order of Merit. The Collected Poems of Alistair Te Ariki Campbell was published by Victoria University Press in 2016. It is also available as an eBook. 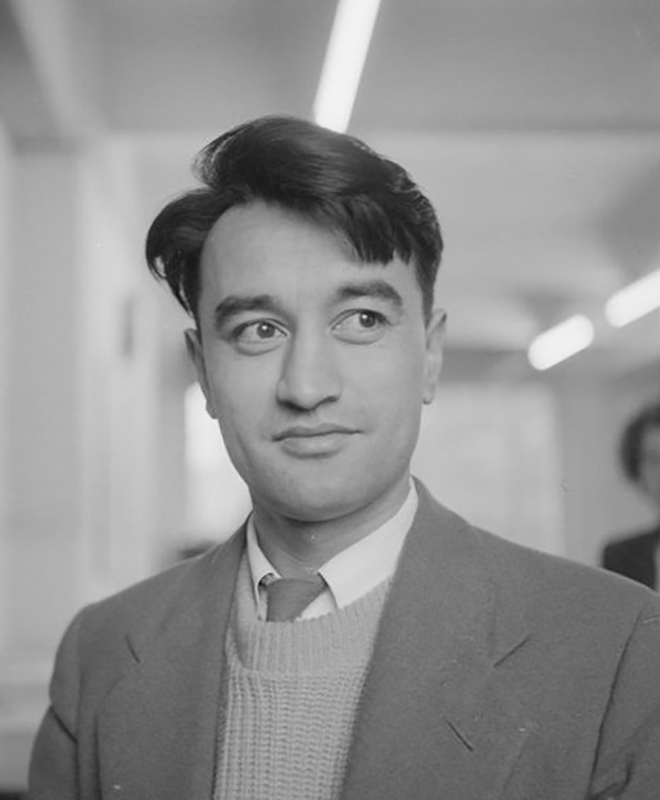 Photo: Alistair Te Ariki Campbell, 1956. Negatives of the Evening Post newspaper. Ref: EP/1956/1893-F. Alexander Turnbull Library, Wellington, New Zealand.